The longstanding animus between the Pittsburgh Post-Gazette and the Newspaper Guild of Pittsburgh has now drug editorial cartoonist Steve Kelley into the conflict. The union has written a letter about what it calls are the “misogynistic editorial cartoons” of Steve Kelley’s that have recently appeared in the newspaper. Steve Kelley is not a member of the union and the paper has refused to publish the union’s letter. The cartoons have prompted editorials of their own in other publications. They have also prompted letters to the editor from readers angered by the content, and at least two of those letters were published by the Post-Gazette. But the letter from the Newspaper Guild of Pittsburgh, the union representing 150 newsroom employees, hasn’t and won’t be printed, the Guild says. The Post-Gazette was the scene of an similar flap exactly one year ago, with the paper refusing to print in-house criticism of an editorial penned by now editor and vice president of the Post-Gazette, and editorial director for Block Newspapers, Keith Burris. Contract negotiations between the Guild and the paper’s owners also continue, having prompted an unfair labor complaint against the paper by the union. Reached for comment by The Incline, Post-Gazette Marketing Director Tracey DeAngelo said she was unfamiliar with the issue and the Guild’s letter and that she would follow up with comment if the paper’s owners and managers decided to make one. We write you on the one-year anniversary of the Pittsburgh Post-Gazette publishing what was widely considered in our community to be a racist editorial. In response, the Newspaper Guild of Pittsburgh broke with more than eight decades of not weighing in on editorial positions and wrote a letter to the editor, which the PG refused to publish. …Sadly, one year later, we find ourselves in the same position. This time, the publication of three misogynistic editorial cartoons within a week has disgraced the reputation of the newspaper we and the community love. The cartoons display a contempt for women and an obvious deep-seated prejudice against them. The cartoons are not witty, insightful or funny. They are a puerile recycling of ridiculous, outdated and hurtful tropes about women that have rightfully brought scorn upon this newspaper. Did you not read the letters to the editor that were highly critical of the first two cartoons? Why would there be a third one on Sunday? Do you even care that, as they did following the racist editorial, subscribers and advertisers are cutting ties with us? The Incline’s story and the full letter from the Newspaper Guild can be read here. The Daily Cartoonist noted last week’s protest about the cartoons. The University of Pittsburgh’s student newspaper The Pitt News has printed an editorial expressing disapproval with the recent Steve Kelley cartoons that appeared in the Pittsburgh Post-Gazette. A string of editorial cartoons published in the Pittsburgh Post-Gazette this past week may have left you scratching your head — and you’re in good company. Three cartoons drawn by Post-Gazette cartoonist Steve Kelley in the span of one week show a blatant disrespect for women and put into question the newspaper’s editorial judgment — as well as its choice in staff. These cartoons simply shouldn’t have been published, and they don’t reflect the values for which the Post-Gazette once stood or the values of a large number of its readers. Read The Pitt News editorial here. 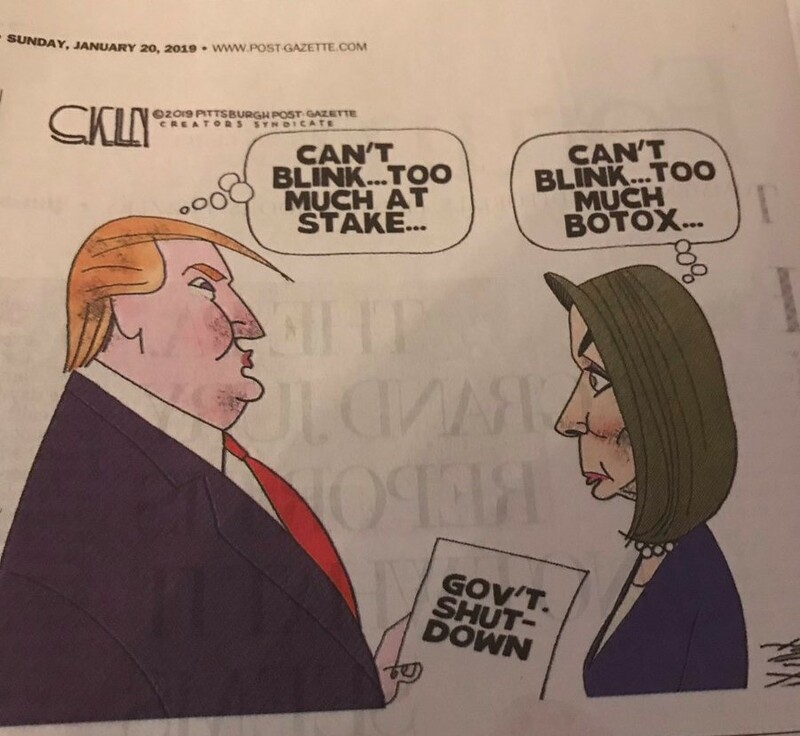 Andrew Conte, On Media columnist for NEXTpittsburgh, talks to Liza Donnelly about the recent string of Steve Kelley cartoons for the Pittsburgh Post-Gazette. AC: You agreed with the Newspaper Guild of Pittsburgh that recent cartoons by Steve Kelley seem sexist or misogynistic. What about them makes you feel that way? LD: All cartoonists should be able to draw what they want to draw. We have the freedom to do that in this country because of the First Amendment. But I found the three cartoons that we are talking about to be using old stereotypes that are unnecessarily negative towards women as a group. The jokes are based on the notion that women are gold diggers, duplicitous and use botox. The jokes are meant to create a laugh based on old-fashioned ideas about women — I am not saying we can’t laugh at ourselves, but these are tired stereotypes. reached out to Kelley to interview him about the controversy. He wrote back saying he wants to talk with me and should be available next week. I will share his thoughts in a column once I’ve spoken with him. 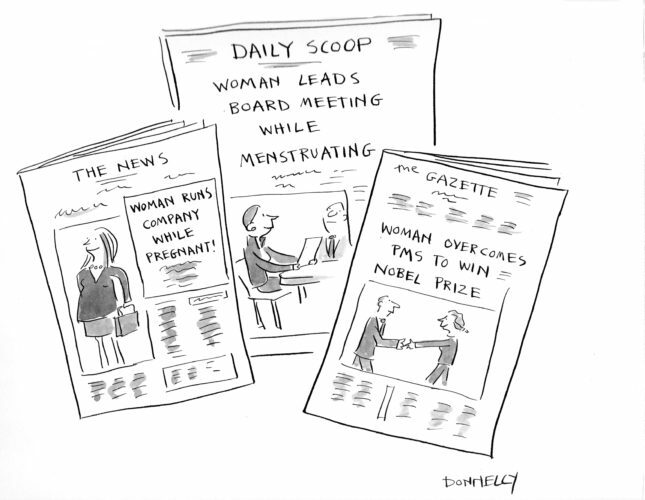 When it comes to women, the main difference between Kelley and the “Kelly” who pens over-the-top burlesqued reactionary cartoons for The Onion seems to be the second “e”. 27 queries in 0.141 seconds.